This past week was tough for our family. I do appreciate all the prayers that have been offered up for my mother. At this point she has been moved to skilled nursing and is getting some physical therapy. It has not made a lot of difference in her mobility, but we continue to pray that it will. She is eating some, but not sure it is enough to give her all the nutrients that she is going to need for this part of her journey. We are just continuing to trust the Lord to provide for her needs in accordance with His will. After I got back to Pampa there was one who had a heart cath and another who had surgery that I needed to share with as they went through their procedures. There were some issues that they faced, but now things are moving in a good direction. Once again we have seen God answer prayer for those going through struggles in their lives. I know that in the days ahead others will be going through surgeries and tests. We will continue to pray for them that they will find the peace they need to walk through this time. It won’t be easy for them, but we trust that God will be with them. Others have experienced the death of their loved ones. Regardless of how the death occurred, hearts struggle with the loss. Whenever a loved one dies, we feel a loss that goes to the depths of our souls. Their death touches our lives and it seems to bring a struggle in the midst of things. The issues that people have been facing are difficult and it seems so hard to deal with all that is going on. Regardless of whether a person is dealing with a health issue that causes problems, a surgery or the death of a loved one, it can seem overwhelming at times. Yet, we can trust God to be with us through anything and everything that we face. All through Scripture we find that God’s people went through tough times, but God was there for them. When God was giving Joshua the position of leading the people, He made a promise to Joshua. 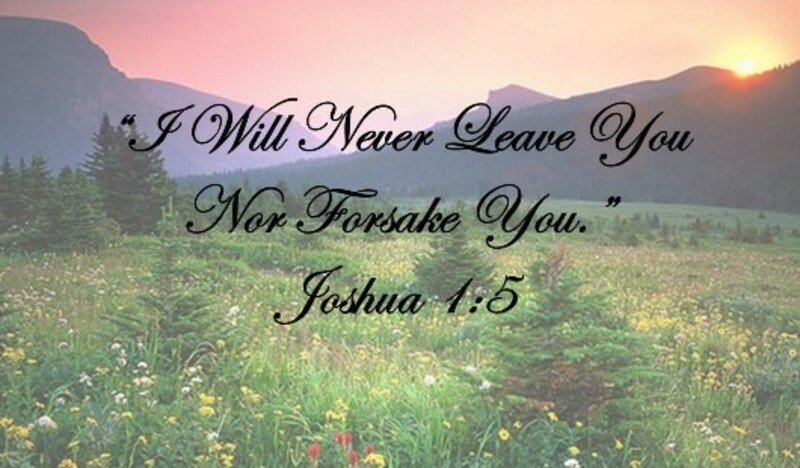 Joshua 1:5 says – “No man will be able to stand before you all the days of your life. Just as I have been with Moses, I will be with you; I will not fail you or forsake you.” God’s call for him then was to be ‘strong and courageous’ (vv. 6,7,9). There was Daniel, Jeremiah, Nehemiah, Peter, James, John, Paul, plus many others, who were confronted with issues that brought struggles into their lives. None of them were easy when they walked through those rough times, but through it all they trusted God. No one ever cared for you like Jesus. He loves you and regardless of what you are going through at this time, as you trust in God, He will be there for you. You will be able to find your rest in Him. I know that for some these days have been difficult, but know these two things. One, God loves and cares about you. Two, you are being prayed for at this time. So trust in God and let Him bring you the peace you long for right now.